The yoga Siddhas are well known for their capacity to perform siddhis, or miraculous feats. The mysterious powers (siddhis) attained through the practices of Kriya Tantra Yoga result from a mastery of the elemental principles, and are rightly veiled in the writings of the Siddhas using a unique expression of intentional obscurity embedded within the sacred texts. This veiled language is referred to as sandhabhasa. The arcane expression is justified, not only because those who wield the sword of power can themselves be cut by it, but also because such powers can be abused. The sacred texts should inform the practices given by a living master. A book, regardless of its sanctity, cannot be a guru. The great ones await those souls who have purified their motives, energy and consciousness through the principles and practice of Kriya, Tantra, and Yoga, though it may have many different names and forms depending upon the needs of aspiring souls. Individuals, immersed in the blindness of illusion themselves, can, and often do, misguide those who do not develop discrimination, but none will deceive the siddhas. Practitioners of yoga release one quarter of their sadhana shakti to those who seek it through them. Siddhas know exactly to whom their shakti should go. They can see purity as easily as others see the earth. To become a fit instrument, the internal electricities must purify the being and the ego dissolved into the deeper cosmic Self. The demonic ego energies (asuras) cannot capture the spiritual nectar (soma), nor will they ever. Sincere souls should never fear. Even in states of relative weakness and ignorance, encrusted in layers of maya, sincere souls are nonetheless protected by the strength of the peerless masters and the pursuit of truth is the mastery over falsehood. The antidote for all fear is love. The five elements are found in the ancient vedas and are foundational to the miraculous powers known to Tantra and Yoga. In modern times, they remain just as important to achievement in the spiritual path as in the ancient days. The importance of the five elements did not escape the ancient Greeks, who were probably influenced by the Macedonians, resulting from the travels of Alexander the Great, who led his army beyond the Indus river (near the border of modern day India and Pakistan). Alexander is reported to have brought accomplished yogis back to the middle east. Perhaps this is why the European mystics held secret knowledge about the elements. Perhaps too, they had drawn from these fundamental principles of nature independently. 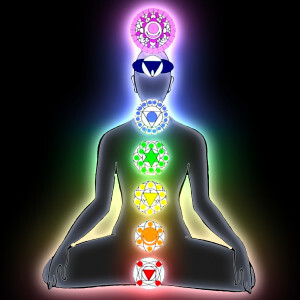 In Yoga and Tantra, the five elements correlate with the five lower chakras (above). As the inner Goddess, Kundalini Shakti, reaches a given chakra, that vortex vibrates intensely until she, the great Goddess, rises up. Her departure from a given center in her upwards climb results in a profound sense of void at the point of her departure, a void which ultimately morphs into pure awareness at that center. It is as if the purification has increased the vibration of that center to the level of attunement to the cosmic nature principle (prakriti) and that it becomes reabsorbed in the vast fabric of universal consciousness, at least for the time span that she remains above it. In due course, we discover, Prakriti Devi can both transcend and be established permanently in each of these centers. She ascends to the consciousness of Godhood and then descends with the universal consciousness into the lower planes. The nature of soruba samadhi, or the golden body, is such that rare souls are permanently established in the relative plane and yet fully transcended as well. Inevitably this means physical immortality, the physical light-body which is not subject to the usual rules of nature. Laya Yoga helps the yogi move ever increasingly inward. 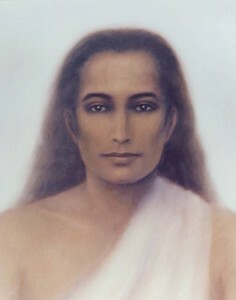 Yogi Saint Paramahamsa Yogananda could perform siddhis and spoke about them. 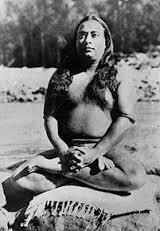 The great saint, Paramahamsa Yogananda, revealed in his Autobiography of a Yogi, that Yogi Nagendranath Bhaduri had mastered Ashtanga Yoga breathing practices (pranayama) identified in Patanjali’s Raja Yoga Sutras. This, he explained, had enabled the saint to perform many miracles. These miracles are generally considered to emerge when one has gained control over the elemental electricity’s, the five elements. Akasa gamana siddhi is the ability to float through the air. It requires a high state of mastery. This siddhi has been achieved by many saints. It was reported by contemporaries of St. Francis of Assisi, St Joseph of Cupertino, and the great Tibetan master, Milarepa, and many others. The Tibetan tantric tradition refers to this miraculous yogic power as Khecari Siddhi. Babaji, the peerless avatar of Kriya as well as Yogi Jesus, have both achieved this siddhi. The immortal himalayan Mahavatar and Siddha, Babaji is widely known to have performed many miracles, including levitation.. The impact of the yogic purification practice of Bhuta Suddhi Kriya became tangible to me nearly 50 years ago during a spiritual fair in India. The sweltering heat of a South Asian summer engulfed me in a ceaseless wave of discomfort. A long arduous walk over dusty streets and pavements had left me exhausted and surrendered to the moment. The thinking mind had been expunged. The senses and ego find little refuge in such an environment where detachment from the physical body seems the natural course. At last, the road opened into a large field where one of India’s great spiritual festivals (mela) was reaching its end. To my heart and mind it was a veritable Yogic Mecca. Swamis, yogis, sadhus, and every manner of spiritual person seemed to be everywhere. I became conscious that I was at a convergence of ancient yogic energy. As I had come to see an acclaimed siddha. Walking across an expanse of open air, passing tents and palm structures, I felt an excitement as I neared his hut. Entering the humble hut constructed of palm fronds, my eyes must have revealed wonder at the sight of a yogi, eyes rolled up toward the top of his head, sitting cross-legged in a powerful stillness. Barely able to believe my own eyes, he appeared to be floating about a foot above the table under him. My guru had prepared me for such things and yet, it was difficult to process what I was experiencing. I examined his eyes and eyelids and noted not a hint of movement. Astonished, I examined his chest for slight movement. There was none. Could this be real? Although my Guru, Yogi Ramaiah, had related similar incidences, and at rare times, even revealed miraculous powers himself, such as clairaudience, telepathy, and clairvoyance, never had I seen levitation. Somehow I thought that such a thing was something that would be seen by someone else, perhaps far away, or in some other, more ancient, time. The mind simply could not process what the senses observed. Surely this is a trick, the inner critic whispered. I approached the yogi with skepticism. Perhaps it is due to piano wires, I thought. My initial theory was discounted as soon as I glanced at the roof of the hut. The temporary ramshackle straw hut had walls of palm fronds which could barely support the palm leaf roof; holding the weight of a man was out of the question, and at any rate, a careful examination of the air above him revealed nothing; no fishing line, no wires. Simply touching the roof made the whole structure move. A suspension superstructure from the back of the grass hut could in theory be used but this too was ruled out, since the area around the yogi was fully exposed to my scrutiny. Surely this is a trick performed by mirrors. I considered that a one pole stand, hidden from view by a draped cloth might be used, but this too was not a possibility since the entire area under and around the yogi was exposed to the air and light. I moved around the yogi, examining every possibility. His eyes were partially closed, rolled up to the top of his head. I felt emboldened. I deftly moved my hand under and in front of the yogi, seeking a reflection from possible mirrors. Amazement! Is it possible that this yogi is indeed floating? My friend and brother disciple (Gurubai), Kriya Yoga Sadhak Pasupathi, who was the proprietor of the National Battery Works in Karaikudi, Tamil Nadu, had earlier described a similar experience. I looked again, examining the yogi from every angle. Could he truly be floating above the surface below him. It was only then I looked up at his face to see that his oceanic eyes had descended from timelessness and that he was keenly observing my “testing” process with more than a little amusement. His eyes were now seas of inexhaustible love and compassion. A bright luminous light emerged. The mind had no other choice but to accept the obvious. Probably my face flushed with a mixture of embarrassment and excitement. After basking in the glow of the shakti energy permeating the area, I paid homage and slipped away into the fast approaching dusk, high and filled with joy from exposure to the divine grace-light. The Sage of Shirdi, Sai Baba performed many siddhis during his life. 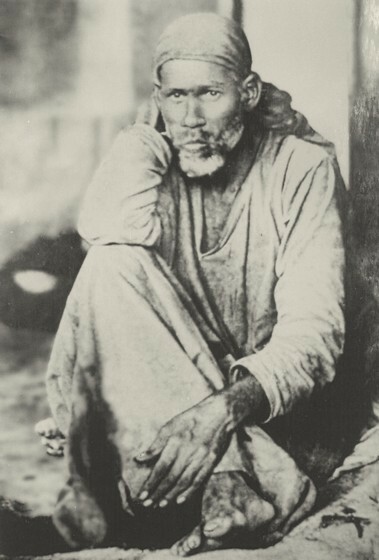 In 1886 AD, in a well recorded incident, the celebrated Sathguru, Shridi Sai Baba, left his body for three full days. During this period, both his breathing and his pulse stopped, after which he returned to the body. Among yogis, it is nearly universally accepted that Baba had cured many incurable diseases by his touch or mere glance. He demonstrated spontaneous knowledge of diverse religious scriptures and languages. He never practiced for nor desired these powers; they came to him naturally, as a result of his purity and sadhana. Kaleshwar was a siddha who astonished hundreds with his capacity to manifest sacred objects. Years ago, the celebrated Swami Sri Kaleshwar visited southern California, not far from where I was living. I was very much looking forward to seeing him, since I have friends whose lives have been positively changed by his practices and teachings. I approached a Topanga Canyon home, then serving as a makeshift retreat center. The large room was absolutely charged with energy and filled with people anxiously waiting for an audience with the saint, who was intermittently bringing into his chamber small groups of half a dozen at a time, and spending precious moments with each of them. Thus, every twenty minutes or so, the saint would emerge from a hallway, and announce, “those who need to go right away, can join me now.” Each time he made that statement, I thought, “why would anyone want to leave this high energy?” “There is no possible way I am leaving this incredible energy as long as I have a choice. Yet each time, incredulously, a group of people raised their hands to have an early audience. In this way, he chose new groups, one after another. As he emerged each time, I was thrilled by the light in his eyes. In stillness, he scanned the room. Every time he did that, our eyes very directly met and I felt massive grace. Saints can project sadhana shakti (the power of their practices and experiences) through the eyes. After a couple of hours, I was selected with a small group of six. Little did I know, it would be the last group he would see in private darshan during his pilgrimage to America. Sitting, he asked us to meditate on a specific mantra. After some time, he asked us to stand in a circle and open our hands. He then removed a few petals from a red rose, placing petals in each of our open palms. He asked us to meditate on the petals as a reflection of our karma. I was directly to his left, our shoulders nearly touching, as we all stood in a tight circle. I noticed that he had short sleeves on his shirt. He asked us to drop the petals into his own open hands, and he began to place his palms together and rub his hands so that petals were falling out on the floor as he rubbed. His palms were perfectly flat against each other, but when he lifted his top right hand, a very solid large sacred object, a hardwood cross, immediately materialized. I didn’t know it at the time, but the entire group were all his long time students, I being the only exception. Being allowed to see this event changed my thinking, even my life. Later, I visited his ashram in India. I have come to know of many of his students, hold them in my heart fondly, and heard many subsequent stories about his materialization siddhis. Sadly for the world, he passed away, quite young, several years ago. He performed many miracles. 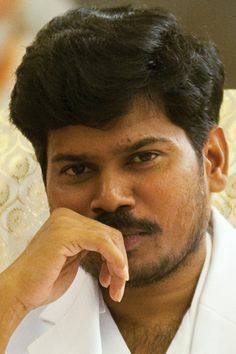 Sri Kaleshwar taught mantras relating to these elements that served as the core technique for the path on which he led so many souls to God. Thus, through both direct and indirect experience over decades, I came to understand and appreciate the stellar potential of purification of the elements as a means of gaining a mastery over nature and her illusions. Like samadhi itself, I have learned that the impact on the soul of experiencing a siddhi cannot be expressed but must be experienced. Words utterly fail to capture the power of these events. Each person must have their own direct experience of high attainment. It comforts the ego to falsely imagine that “miracles” only happened long ago and far, far away. This illusion releases the reluctant novice from the responsibility to address the earth shaking inward changes that are essential for real transformation. However, one should not doubt that there are great siddhas on the physical plane even now who can perform such “miracles”. Most of them work quietly within their dharma. This and other events helped me to understand the miraculous references made about miracles found in the texts of Kriya Tantra Yoga and the scriptures of many religions. 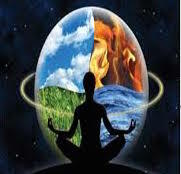 The evolved Yogi understands that it is the result of consistent practice of pranayam, mantra, and divine surrender to a level unimagined by most, as well as other practices which lead to a refinement of these elements within and the establishment of totally tranquil mind and breathing regardless of external activities. 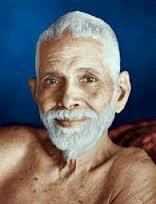 Ramana Maharishi described processes of Siddhis and advised against their use. Although Patanjali speaks of siddhis as potential impediments to the attainment of true perception, it is a warning that other accomplished yogis, such as Sri Kaleshwar, do not always share. The importance of purifying the elements, however, is a universally accepted principle that all saints, yogis and tantrics seem to agree upon. Sri Yukteshwar, author of the Holy Science, explained the underlying principles of the elements. 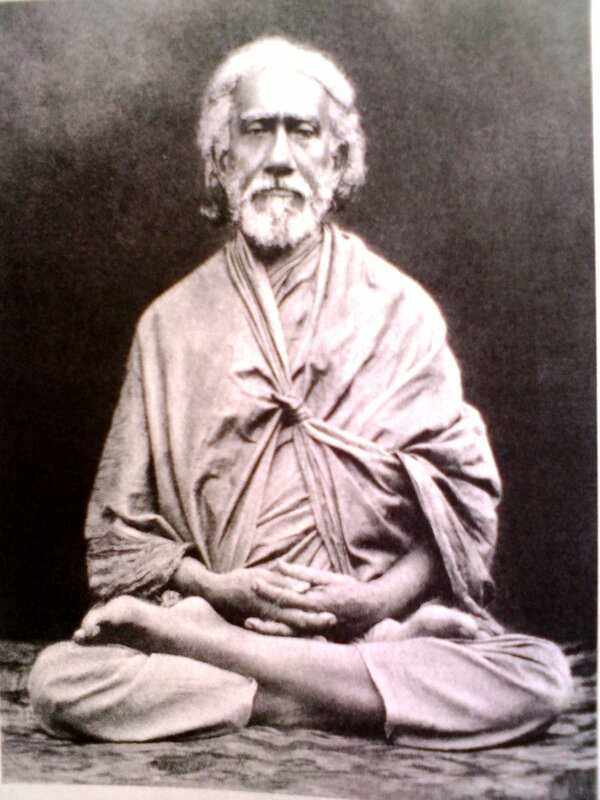 The great Kriya Guru, Sri Yukteshwar, was directly requested by Mahavatar Babaji to write about the tattwas. Doing so, he explained the Pancha Tattwas as five forms of electricity. He identified them as the cause of all other creation. He explained them as the five root-causes. Matter itself is part of the wider illusion. The Tanmatras are five attributes, or objects perceived by the senses of smell, taste, sight, touch, and sound. When these objects of the senses intermingle with the negative attributes of the five electricity elements, they combine together to produce the concepts of gross matter. This appears to us, being under the influence of Maya, to be solids (kshiti), fluids (ap) fiery (marut), gaseous (vyoma) and etheral (akasa). We know from current science that objects which appear solid, liquid, fiery, and gaseous are not what they seem to be and that electricity and magnetism play an important role in holding together a substance on the atomic level. For example, it is now understood that an electrical charge is the only thing that prevents two objects of substance from occupying the same space. One object repels the other due to electro-magnetic energy. 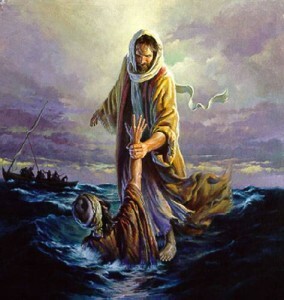 Jesus, the Avatar of Christianity, is reported to walk on water, heal the sick, and materialize loaves of bread. Why does the Divine create this vast illusion? We are given to know only that it is cosmic play, (lila), that the one separate into infinite subdivisions, each unconscious of its connection to the other segments and to its original source. It is this eternal play that, over eons, each of the separate fragments of this oneness, through union energy, finds their way back to the source. Meditation on these Tattwic principles produces clarity about the inner truth and about the illusion that colors our perception of so-called “reality”. One of the best place to perform such meditation is in the electrical echo chambers of the ancient Pancha Bhuta Stalam Shiva Temples of south India. That is because each of these temples, associated with a particular element, provides a direct portal of purification helping the yogi or tantric to perceive reality on increasing subtle levels. Meditation on the principles at these five great Shiva Shrines holds great potential for an understanding of Brahma and the oneness. The ancient Mantra-mahodadhi text describes an important preliminary to the worship of a Deva, a method powerfully effective in the process of purification of the elements. Performing this practice in these great five element Shiva Shrines has brought long sought inner awareness. This technique of Bhuta or Tattva Shuddi is an internal process of involution whereby the body, using mantra, meditation, and breath, is incrementally dissolved into the source from whence it has come. In the practice, earth is mentally associated with the sense of smell. Water is visualized in its association with taste. The fire element is reflected upon with its natural link to sight, air is associated with touch, and ether with sound. 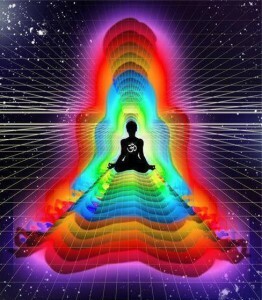 In the process, the Kundalini is led from the root energy center to the second center (Svadhisthana). Here, where the earth element, ascending from below through the power of will, breath and mantra, is dissolved by that of water, and formed into a sphere, is then burnt by fire of manipura. Air then absorbs the ashes of the fire and either is taken up into the void of air. This progressive absorption continues until the source is reached. The yogi will, in turn, dissolve each of the gross elements (maha-bhutas), together with the subtle elements (tanmatra) from which they emerged. In addition, the connected organs of sense (jnana indriyas) are then absorbed, followed by absorption of the last element, “ether”. Then, it in turn is absorbed into the tanmatra sound and further into self-hood (ahangkara). The latter is then absorbed into the great Self (jhiva or mahat), and that, again, into Prakriti, the collective primal matter, cosmic energy and material cause of the universe itself. In this way the atman retraces the steps of soul evolution back to its cosmic source. The actual practice is given during the Bhairavi Kriya initiation because it is so transformative. Bhutasuddhi describes then, the five forms in which the primal material of the cosmos, Prakriti, manifests herself. As stated, these each have a center within the five lower chakras which exist in the subtle planes of the human body. Since the ultimate reality is Atman alone, the siddha displaying a “miracle” is just as much illusion as the individual who is observing the siddhi “miracle”. Therefore, even though these powers are a natural outcrop of spiritual expansion in the relative plane, the soul that is seeking realization of the self should avoid becoming enmeshed in the desire for siddhis. Moreover what are these powers for? Perhaps the would-be occultist or siddha desires to display the siddhis so that others may appreciate him. He seeks appreciation, and if it is not forthcoming he may not be happy. There must be others to appreciate him. He may even find another possessor of higher powers. Perhaps that might cause jealousy or breed unhappiness. The higher occultist (siddha) may meet a still higher siddha and so on, until there will come one who will blow up everything in a trice. Such is the highest adept (siddha) with undifferentiated divinity. Siddhis, then, are not the goal, but purity is. These five great temples which we have referred to, are literally portals to a deeper reality of understanding of the true nature of the bhutas and the inner world. The practice of the element mantras, Kriya Kundalini Pranayam, Bhairavi Breath of Ecstasy, Urdvamnaya, and Bhuta Shuddhi are all particularly auspicious when done in a sacred space and will inevitably lead to access of the higher centers of knowledge. The great sage, Ramakrishna Paramahamsa, while warning of the potential dangers of exercising ones’ siddhis, nonetheless demonstrated many such powers during his lifetime. For example, he would throw a disciple into an hypnotic state and learn from his subconscious mind all that might have been lodged there. This was seen to occur to and by a number of his students. He is known to have reported that men and women occasionally looked like glass to him and when the need arose, he could examine them for mental and physical ailments or limitations through and through. With a mere touch, he could change the course of a persons life, and was seen to do so frequently. His well known student, and master in his own right, Swami Vivekananda, was responsible to establish yoga in America in the late 19th century. He was highly successful in that dharma. Vivekananda reported that he often heard a voice shouting things at him the night before he was to give a speech. He attributed that voice to his Guru, Ramakrishna. The next day, during his speech, he found himself saying the very things that the voice had instructed. I fully understand that few people will read this article and accept the miraculous events described. After all, there have been frauds using common magic or slight of hand as a manipulation. Though there may be a few pickpockets in a crowd, this does not mean that everyone in the crowd is a pickpocket. Discrimination (viveka) is a constant prerequisite for any spiritual pilgrim of life. There will always be eternal naysayers as well as victims of deceit. That is an excellent reason that the focus remain on purity and development of discrimination. Although I sought the purification of the elements throughout my adult life, I never sought siddhis. An acceptable argument for their importance in the path was never made to me. Power displayed without dharmic purpose is a poor reason to do sadhana. I did understand that observing so-called miracles could help to break the power of maya. People have many times told me of miraculous things that occur during or after a training session, meditation or puja, even suggesting that it was somehow the work of a particular saint. I am sure that this happens to all teachers. I have always attributed such things as coming from the great siddhas, such as Sathguru Kriya Babaji. Perhaps there is some level of sensitivity to divine will that moves the mind, speech and actions of those who give themselves more fully to the forces of light. I have always tried to surrender to the dharma and never attempted to modify the environment or the life of others, trusting in the energy of the teacher lineage (Guru Pamampara). The fact remains that I have seen many powers demonstrated and consider that it occurs due to the practices of Kriya, Tantra and Yoga in its various forms. I believe deeply that only those who are committed to the soul path get an opportunity to even witness real siddhis, let alone command them. When the great Yogi Jesus appeared to doubting Thomas after his rising up, Jesus said to him “Because you have seen me, you have believed. Blessed are they who did not see, and yet believed.” Ultimately, all souls see such miracles when they are fully invested in the dharma and have purified the elements from which they themselves are formed. Om Tat Sat.